We finally arrive at the last paradox; Paradox VI. That the wise man alone is rich. Cicero gives us his definition, revealed later, on what makes us rich and it’s not the common definition; this is why it has the making of a paradox! I will use the word affluent to describe wealthy in material possessions and money instead of rich to avoid confusion. This is addressed either to Marcus Brutus or Marcus Licinius Crassus (being the most affluent man in Rome) I’m assuming the former is being addressed because Crassus was already dead at the time of this writing and these essays were dedicated to Brutus in the introduction, but enough trivia! What makes the rich man? From this paragraph it is here that Cicero defines his rich man and in the typical stoic way of visualising the rich man as it should be: ‘It is your own mind, and not the talk of others, nor your possessions, that must pronounce you to be rich.’ So in a nutshell contentment = rich. Here the man, even a beggar man, no matter if his possessions are of affluent quantity or scant few, should he be content with what he has without the desire for asking more from life then, this satisfied state of mind is stamped as rich. To drive home the point Cicero is making here let’s look at this scenario, a man who owns copious amounts of wealth, multiple properties, big houses, cars, CEO of a corporation, high turnover giving him millions of pounds in disposable income and all the rest of it. If he’s not content with what he already possess being thirsty to grab for more material things, like a luxurious yacht. Then this tycoon with his grasping covetous unsatisfied mind makes him a poor man. So in case you didn’t get it! Cicero is banging on again that it is the richness of the mind and not conventional richness or affluence that makes one rich! It is not the big pile of wealth you have but the contentment of the mind that matters! Cicero would no doubt view the man who not only longs for more material things as poor but of the man who covets wealth by unethical means or by way of vice, (the opposite of virtue) as doubly poor! The measurement of rich then is ‘the amount of riches by that which is sufficient for each individual’ or to put it another way ‘the degree of wealth is dependent on how much each individual has need of’ with the opposite being needy for more things making you more poorer in soul! You’ve the income to raise an army? then you’re affluent! It seems that there was a standard for measuring those to qualify for the title of being affluent; the standard being if you have an income large enough to raise and maintain an army you are wealthy; how Roman! If you lived in Rome during those times and heard that you must meet this standard in order to join the wealthy boys club and actively believed in this, then you are conforming to a standard someone else created i.e. the income large enough to raise an army idea. This standard, this qualification as to who is wealthy or not, you’ve given up your contentment of mind just to satisfy the guidelines of those people! Admitting to yourself that you have insufficient income to procure what you want is admitting that you’re poor. This means wanting what you desire but having insufficient funds because income is lacking, should be a alarm call for your shortcomings; the shortcomings being your mind clinging towards the desire for things that life cannot give you. This goes beyond money broadly speaking, the point is simply this: not having the means or capability to get want you want, what you crave for is the contradiction that leads to suffering. Anyways, after that, Cicero goes on about the shenanigans of state with Brutus, not worth mentioning here. Cicero gives us a real life example from his personal life, his fellow contemporary here is ‘ahead’ of him in the rat race having access to larger incomes drawn from his estate. On the flip side though this guy is driven to debt because being a spendthrift he outstripped his income by excessive desire and covetousness. He may have acquired these articles of wealth, statues and pictures and so on but they can be taken away since the man’s in debt. Compared to Cicero, who may have less wealth but mindful of economy, having already achieved contentment in his mind, not longing for excess, he enjoys his lot with a positive income plus he’s free from the anxieties of debt. If Cicero is to be believed, in modern times he’d be content with an ordinary old car that takes him from A to B rather than a brand new Aston Martin sports car. As has been said in previous paradoxes, is it more praiseworthy to boast about your wealth compared to virtuous acts? Moreover boasting about the extravagance of wealth to others implies a craving after approval from people; meaning the mind feels a lack of acceptance! From my perspective, the final paragraph of this paradox is the best with many ideas put forward for commentary! An indication of wisdom is to stop and take a good, hard look at yourself and admit that you’re a man of your time, socialised in whatever milieu you find yourself to be and receptive to its influences. 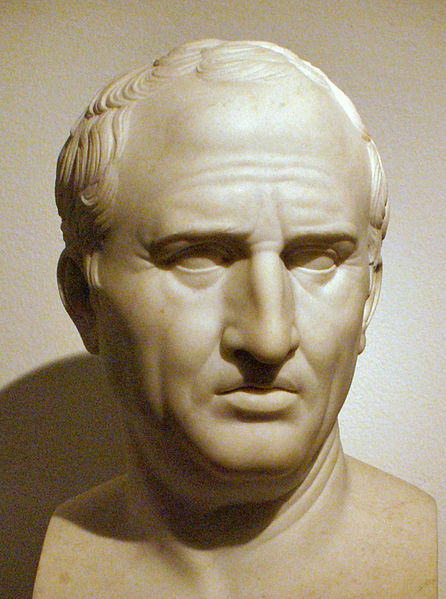 We gain insight into Cicero’s nature to conserve what you have, living within your means. If not being extravagant is not spending over and beyond your income and instead saving the surplus then yes it is revenue. The ideal mode of life, I imagine, is that of the wiseman armed with his philosophy and shielded from the talk of the massess that being affluent is rich. He’s on to something here, virtuous ideas being mental can only be forgotten but easily recovered by remembering without being lost to some fire whereas physical things are more liable to be lost in many ways, they can be damaged or stolen etc. Plus virtuous ideas are often less costly to acquire and maintain than physical objects! I can understand what Cicero is saying here, that there are alternative routes to contentment which does not include buying contentment! The ideal state of mind is a mind that possesses contentment supported by good philosophical ideas which deserve to be described as rich. The richness of these philosophical ideas specifically speaking are ethical ideas used for the purpose of instructing our minds to build our character and lead us on to practising the joyous life. There is nothing bad about coveting luxuries, don’t confuse this with asceticism. The ideas here should be taken as warnings that if the ‘thirsting after more’ things do become harmful to us, like down the slippery slope into an addiction, then we should notice this and train our minds for contentment in place of it. So instead of wanting more; want what you already have. So finally I end these Stoic Paradoxes. Before I end this I wish to share this: during my time writing reviews not just these essays, I discovered that to get great comprehension of what you’re reading you must write about it, commentate or critique it. This will help you memorize not just what you’re reading but may help stimulate better reflection of the subject by way of insight so then comprehension supports you to found your own new ideas or at least develop them.